On Wednesday, S was bouncing off the walls, so I decided we needed to get out the house, especially as it was dry. The park with a bike was the goal. 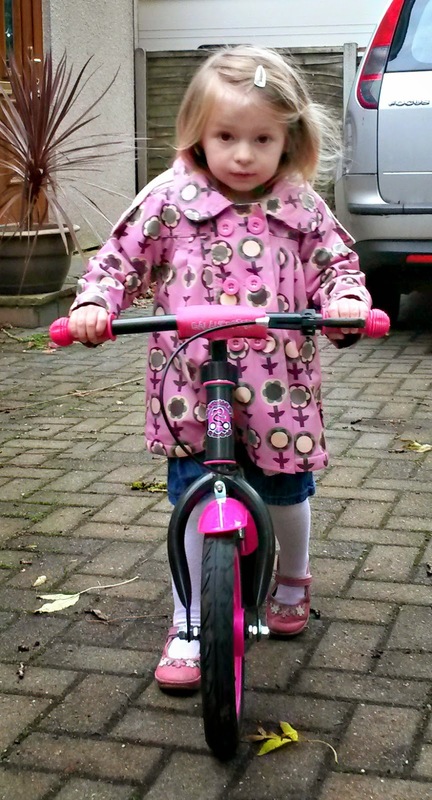 Im hoping that one day we will be an active family on bike rides etc, but as the girls still are unable to ride a bike, that is our first obstacle. I got out the bikes that used to be J's and resized them all for S. The pedal bike seemed to hard to grasp for her, so I decided to try the balance bike. Hooray she is now tall enough to use it on the lowest setting, and managed a few scuttles across the driveway, however, she was reluctant to take it to the park, but at least she has now been on it! Yeay... one step closer. 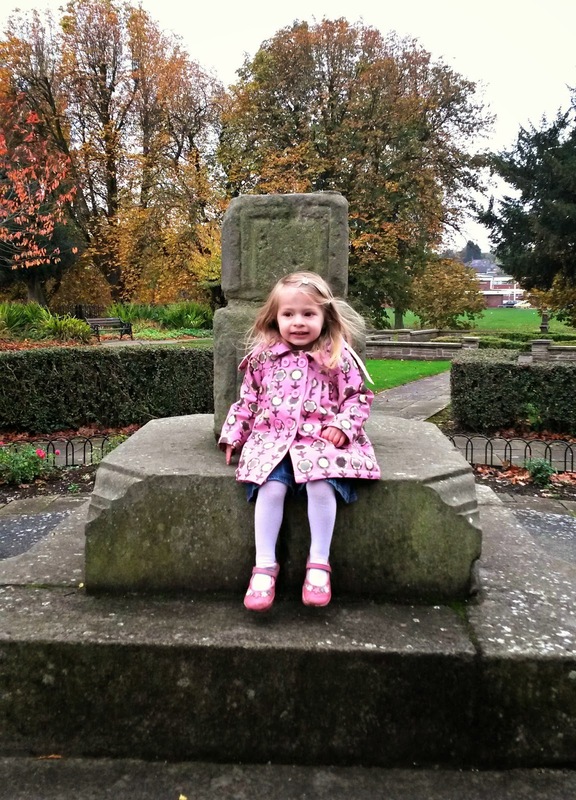 Once we arrived at the park, and had a battle of wills over the bike, I eventually gave up, and took it back to the car, and decided to just enjoy the park through S's eyes. 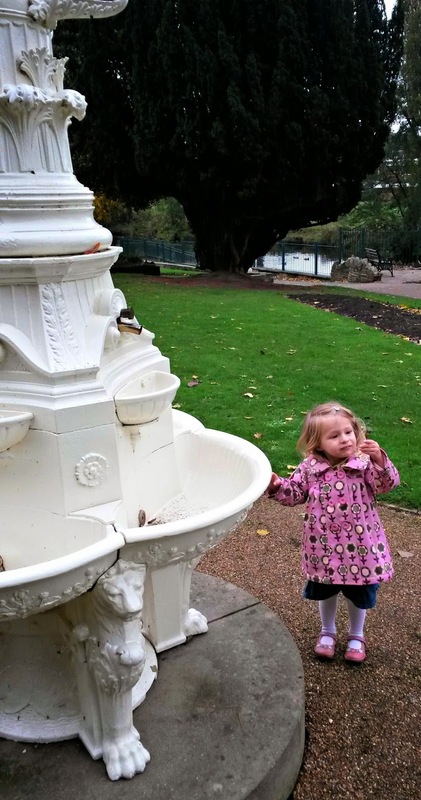 She made a beeline for the water fountain, and had great delight in discovering about the helicopter seeds that can be thrown up, and they spiral down, after discovering some hidden inside the fountain. S freaked out on the swing as it went slightly too high for her, so the swings were short lived, until she saw the larger one which I could go on with too, and finally she was giggling again. 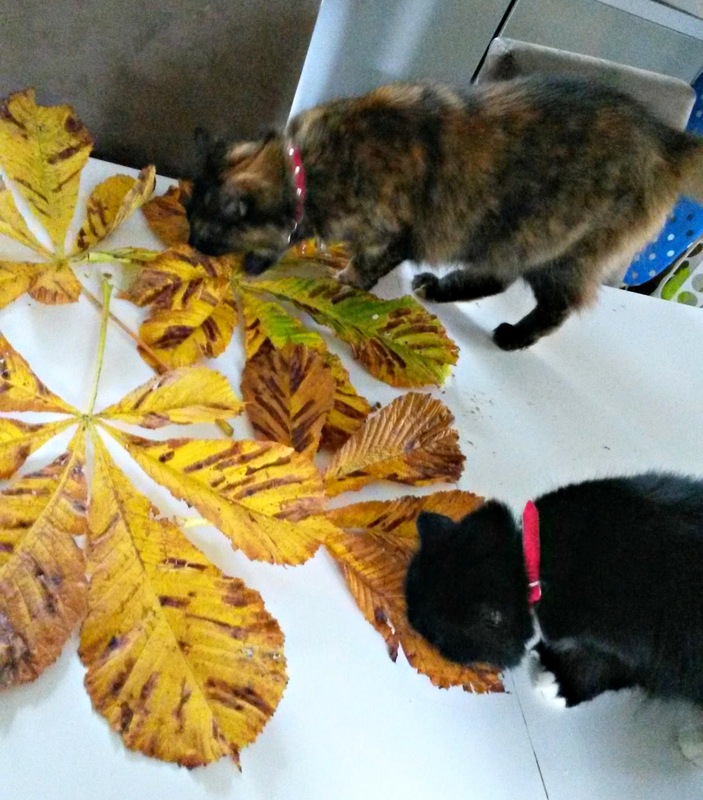 Unfortunately the leaves didn't last long enough to paint as S decided to carry them all over the house letting the cats chase her, so some got crumpled, some went too dry and crisp, and then there wasn't enough to paint... oh well... means we have to go back again. Sounds like a great day, you must have had so much fun! it was a lovey day, thank you. Simple things hey? 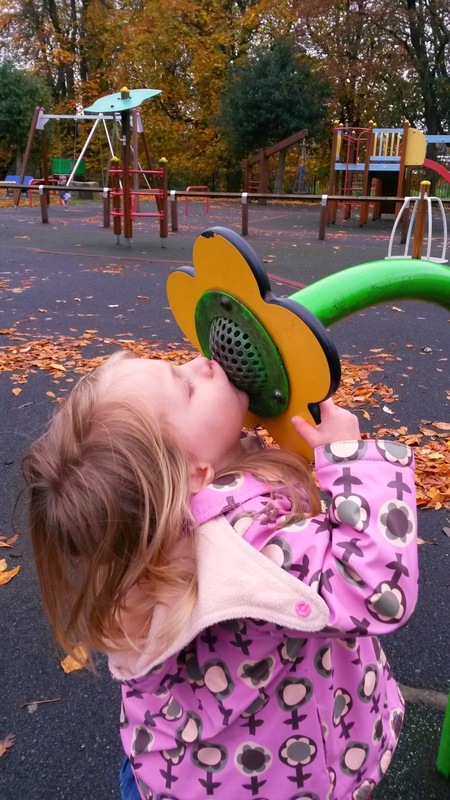 That looks like a lovely park, and my kids adore bringing leaves and nature home with them on autumnal outings, too. Love the cats having a good sniff there! Autumn leaves! 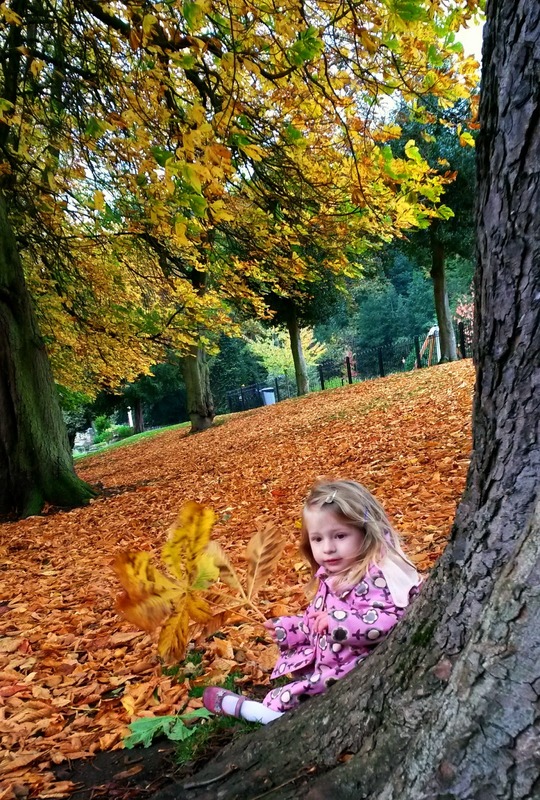 One of the reasons why I love autumn ;) Love that photo of her holding the leaf up! #countrykids. What a beautiful outing! 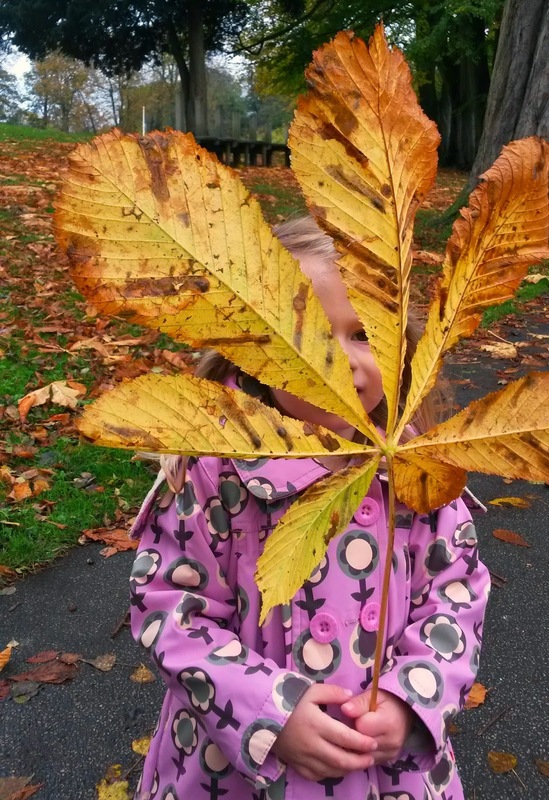 I have NEVER seen a leaf that big before! What kind of tree does it come from? Cool leaves, Stacey! 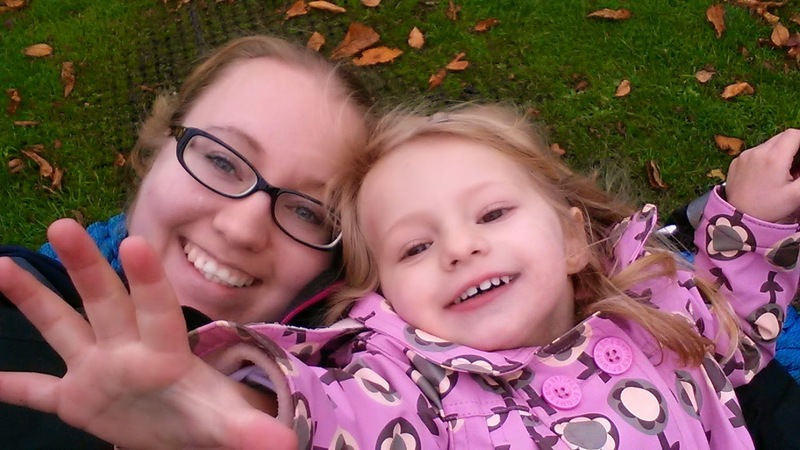 Your blog with all the pictures is really cute (as are your kids). What a pretty place for a walk. It looks like you had a lot of fun.